When selecting roofing materials, more and more people are turning to clay tiles for their quality, durability, long life, and varied styles. Clay tiles, or their lower-cost cousins concrete tiles, have many advantages and just might be the right choice for your next roofing project. Clay has been used as a roofing material since before the dawn of civilization. The clay products commonly found at archeological sites can be thousands of years old, and are a testament to the durability and long life of clay--two excellent qualities in a roofing material. Because clay tiles come in many different shapes, sizes, colors, and styles, you are likely to find a tile that suits your structure perfectly. One of the advantages of clay tiles that has kept them a staple for centuries is the ability of clay to insulate, keeping inside temperatures warm in winter and cool in summer. Combined with a natural ability to reflect, instead of absorb, heat from the sun, clay tiles can reduce the energy required to maintain comfortable temperatures in your home. Clay roofs are very common in the American Southwest, where staying cool is in many areas a year-round battle. 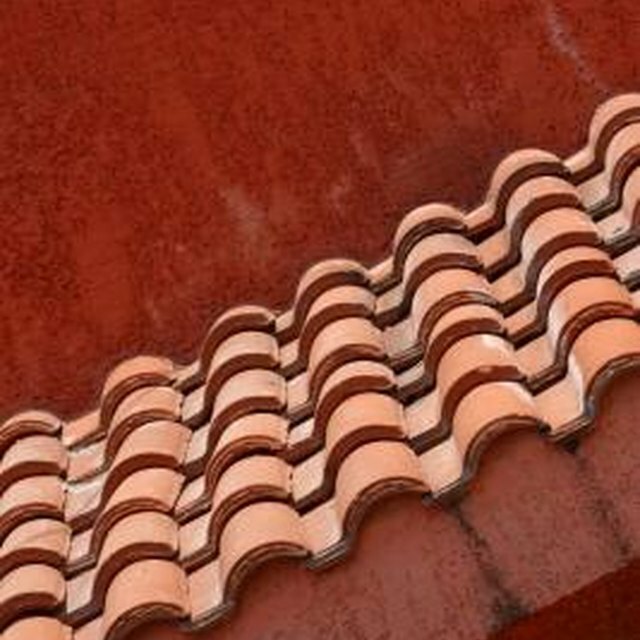 An additional advantage is that clay tiles allow air to circulate both above and below them, creating an insulating cushion of air between the tiles and the roof deck that further increases the insulating ability of the roof as a whole. The durability of clay tiles is not to be underplayed. In addition to their long lifespan, clay tile roofs require little maintenance aside from clearing off leaves and debris seasonally. Clay roof tiles are fire-proof, as well as being impervious to the kinds of rot, mold, and water damage that can destroy other roofing materials. They are insect-proof and, depending on the specific tile you select, are resistant to damage from freezing and thawing. Weather resistance of clay roofing depends partly on the structure itself. Factors like the pitch of the roof determine how well the tiles perform in rain, snow, and ice. If you live in a rainy climate where you need a tightly waterproof roof, make sure you pay attention to the underlayment and carefully seal the roof deck against moisture. Because clay tiles have such a long life, a high quality underlayment is a good idea. You don't want to be stuck with a great clay tile roof sitting on top of a layer that's not built to last. Some of the disadvantages of clay roofing may affect your decision. Because clay tiles are heavier than some other materials, your structure needs to be able to support them adequately. If you are replacing a lighter material with clay, you may need to install additional supports before putting your tiles in. Probably the most significant disadvantage of clay tiles is that they are more difficult to install. Unless you have some experience with roofing, consult a professional about getting help with your installation. If clay tile is out of your price range, consider concrete tile, which doesn't last as long as clay but shares many of the same advantages. Today's concrete tile continues to grow in durability as new products are tested and brought to market.